It’s simple — just teach the 6 virtues! Educators should teach young people “math, physics, cooking, mechanics, or sports” and core academics. Is this a new idea? How many of these do we pump out each year? How is that working? I make just one recommendation to teachers because it is the only one needed to improve public education. 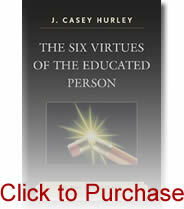 Define “educated” as one who demonstrates the six virtues. Then model and teach that definition. This definition of educated is like the foundation of a house. With a solid foundation a house has no structural problems. Without such a foundation, though, the house requires constant repairs by plumbers, electricians, carpenters, roofers, siders, and masons. That is exactly the situation described by the author and commenters. They all share expensive ideas for repairing or improving pubic education, but none address the question of what we mean by “educated.” None provide a strong foundation in the form of a useful, inspiring definition of what it means to be educated. The good news is that it doesn’t cost anything to have a strong foundation. Teachers who choose to model and teach the six-virtues have one. Although modeling and teaching all six is difficult to do, at least it’s not complicated or expensive. By the way, there is no mention of virtue in either the article or the comments, even though virtue is what we always want in leaders, followers, and members of our communities. The desirability of virtue is embedded in the meaning of the word, but we never talk about teaching virtue in public schools because we are intellectually incompetent, afraid of truth, and proud of it. Public schools produce exactly what they stand for: (1) understanding that is unimaginative, (2) strong character that is fearful of truth, and (3) generosity that emerges from pride. Improving public education is simple. And teachers can do it, tomorrow, if they replace the modeling and teaching of three vices (intellectual incompetence, fear of truth and pride), with the modeling and teaching of three virtues (imagination, courage and humility). Oh — I forgot. Teachers don’t have a meaningful, inspiring definition of what it means to be educated because they are taught to take a social scientific approach to improving teaching. 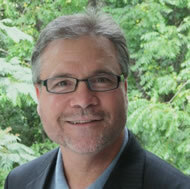 They are taught to apply the findings of educational research in their classrooms. How is that experiment working? If it is failing, when will we change course? world society is currently on a nonsustainable course, with a series of environmental time bombs with fifty-year fuses which will explode during the next generation’s lifetime. A nonsustainable course means that people are spending down environmental capital — forests, fisheries, soil, water, energy, and other resources. Despite the warnings of scientists, many governments persist in destructive policies, and businesses choose to maximize their profits by damaging the environment and hurting people. Diamond refutes the environmental skeptics by pointing out that a list of the fourteen most serious political trouble spots in the world — Afghanistan, Bangladesh, Burundi, Haiti, Indonesia, Iraq, Madagascar, Mongolia, Nepal, Pakistan, the Philippines, Rwanda, the Solomon Islands, and Somalia — is also a list of the most environmentally stressed nations in the world. People in these failed states — environmentally stressed, overpopulated, and unstable — tend to emigrate or turn to terrorism or violence. Diamond does not write about the six virtues, and only a little about the role of education in collapsed societies. In each of his descriptions, however, I saw a people’s (1) inability to imagine their future, (2) fear of truth, and (3) pride. The book describes the ecological suicide that followed. My premise is that we should retain the value we place on understanding, strong character and generosity. We should also replace the teaching of intellectual incompetence, fear of truth, and pride with teaching imagination, courage, and humility. There are no shortcuts, and there is not much time. History is littered with societies that collapsed for lack of these three virtues.